Get started for free with our trial plan, and upgrade to a plan that suits your needs whenever you want. Plans are billed per monitored server or service by the hour, making monometric.io a flexible solution that grows with your business or projects. 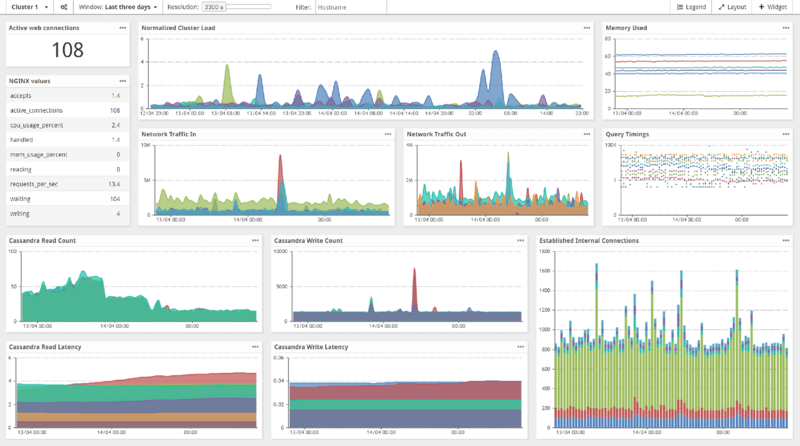 Out of the box you will have access to hundres of metrics ranging from CPU, memory, disks, network, IO and more. We provide an ever growing range of optional plugins for common services and technology stacks, to ensure that you always get the monitoring metrics that are important to you. You are now monitoring the most important aspects of your first server, node or service — congratulations! Our monitoring agent will by default report on all important aspects of your server- and operating system. The monitoring agent is easy to extend with plugins. We already provide plugins for the most popular services, but you can also easily write your own, in any programming language you prefer. Our flexible pricing model makes monometric.io the ideal monitoring platform for small businesses and start-ups, as well as larger and enterprise businesses. Choose a plan that fits your needs, and never pay more than what you use. All plans are billed per the hour for your active servers and services. Microsoft Windows - Coming soon! We also plan to support other BSD variants such as OpenBSD and NetBSD, as well as OSX, Sun Solaris and AIX in the near future. Package repositories for easy installation and updating of our monitoring agent are currently available for RPM and DEB based Linux distributions. These repositories makes it easy to install new agents, keep agents up to date with the latest version, and greatly simplifies the process of establishing monitoring of new servers or VM instances during deployment and provisioning. Agent source code is available here. Our highly customizable dashboards makes monometric.io the perfect solution for real-time monitoring and analysis of large scale mission critical infrastucture. Build your own private dashboards or share them with your team, detailing every aspect of your servers, virtual nodes and services at a glance. Be alerted to important events in your infrastructure, and keep track of your servers with our detailed inventory views. Monometric.io lets you build your own dashboards to suit your monitoring needs. Each dashboard consists of one or more widgets, such as charts, that can be customized to show you the metrics you are interested in. Create dashboards for different aspects of your business or services, and tailor them to fit your specific needs. Dashboards can be shared with your colleagues, or set to private to limit their availability to your personal account. Create any number of alert conditions based on any metric from your servers or services, to be alerted whenever your conditions are met. Be alerted to high loads, slow services, disks going full or any other condition you might require. Feel safe knowing that your infrastructure and services are healthy, and get notified before or immediately after service interrupting events occur. Whether you're doing hands-on work in the datacenter, monitoring your operations from your office, or out meeting with clients; your system status and performance data is always with you. For information on our ENTERPRISE plan, please contact our sales department. All plans and prices are pay-as-you-go. Prices are listed on a monthly basis, but are billed by an hourly rate for flexibility and scalability. No pre-payment required, simply add funds to your account when your balance is low, or set up automatic billing. We can provide customized plans to meet your specific needs. Please contact our sales department for inqueries. We can provide dedicated, hosted solutions for enterprise customers. Please contact our sales department for inqueries.